L. Rubrius Dossenus was one of the moneyers for the year 87 BC. He is not otherwise known. 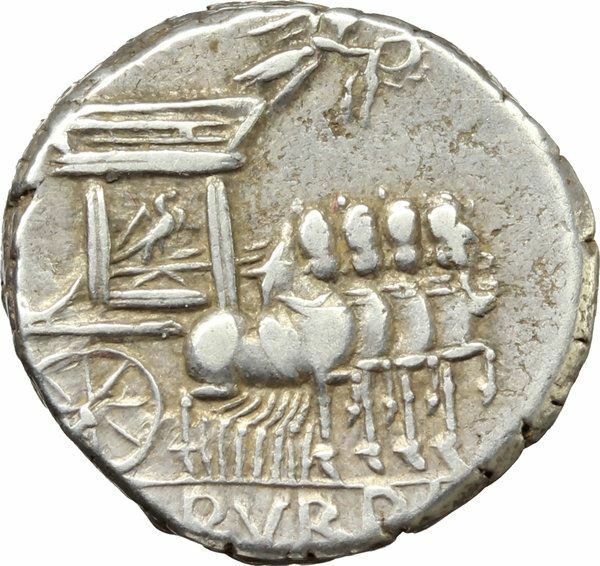 Gens Rubria was a plebeian family who is first known from the time of the Gracchi brothers. In the imperial period the Rubrii became more distinguished, and one of them - C. Rubrius Gallus - obtained the consulship in A. D. 101.